Diploma, Bryan Memorial, Lincoln, Neb. MSN, University of Missouri, Columbia, Mo. My program of research focuses on understanding the complex issues that surround the provision of care to elders in hospitals, nursing homes, community settings and primary care. I am also interested in finding ways to improve the use of advance care planning in older adult populations. My NINR-funded work has been concerned with processes, outcomes and cost of care coordination. My research team developed an ontology describing nurse care coordination that is useful in describing activities that nurses actually do when they coordinate care for patients available at https://bioportal.bioontology.org/ontologies/NCCO. I have been a researcher for three separate CMS innovations initiatives. In the first, I was co-director for Leveraging High Touch, High Tech Care grant (University of Missouri School of Medicine). This was a Centers for Medicare and Medicaid Innovations grant ($13 million) aimed at leveraging information technology to inform and organize the high touch care coordination work of nurses in primary care. The next two innovations grants were with the Sinclair School of Nursing team for which I was co-investigator and co-lead for the clinical portions of the grant. The first grant funded for nearly $14 million developed systems to improve care coordination and early illness detection in order to keep nursing facility residents out of the hospital. The most recently funded follow-up grant, funded for nearly $20 million, is to test new payment models for acutely ill residents of nursing homes. Finally, I am funded through the Agency for Health Care Quality and Research to adapt the Reengineered Discharge process to SNFs. My work informs the development of care coordination as an independent function of nurses in the United States. Popejoy, L.L., Stetzer, F., Hicks, L., Rantz, M.J., Galambos, C., Popescu, M., Khalilia, M.A., & Marek, K.D. (2015). Comparing Aging in Place to Home Health Care: Impact of Nurse Care Coordination on Utilization and Costs. Nursing Economics, 33(6), 306-313. Popejoy, L., Jaddoo, J., Sherman, J., Howk, C., Nguyen, R., & Parker, J. (2015). Monitoring Resource Utilization in a Healthcare Coordination Program. Professional case Management, 20(6), 310-320. Alexander, G., Rantz, M., Galambos, C., Vogelsmeier, A., Popejoy, L., Mueller, J., Shumate, S., & Elvin, M. (2015). Preparing nursing homes for the future of health information exchange. Applied Clinical Informatics, 6, 248-266. doi: 10.4338/aci-2014-12-ra-0113. Vogelsmeier, A., Popejoy, L., Rantz, M., Flesner, M., Lueckenotte, A., & Alexander, G. (2015). Integrating Advanced Practice Registered Nurses into Nursing Homes: The Missouri Quality Initiative Experience. Journal of Nursing Care Quality. Journal of Nursing Care Quality, 30 (2), 93-98. Popejoy, L.L., Galambos, C., & Vogelsmeier, A. (2014). Hospital to nursing home transitions: Perceptions of nursing home staff. Journal of Nursing Care Quality, 29 (2), 103-109. Marek, K.D., Stetzer, F., Adams, S.J., Popejoy, L., Rantz, M. (2012) The effect of the aging in place program on costs to the Medicare and Medicaid programs. Research in Gerontological Nursing, 5(12),123-129. Popejoy, L.L, Galambos, C., Moylan, K, Madsen, R. Challenges of Hospital Discharge Planning for Rural and Urban Older Adults. (2012). Clinical Nursing Research, 21(4), 431-449. doi:10.1177/1054773812436373. Popejoy, L.L. (2011) Complexity of family caregiving and discharge planning. Journal of Family Nursing, 17(1), 3-10. Popejoy, L.L. (2011). Participation of older adults, families, and health care teams in hospital discharge destination decisions. Applied Nursing Research,24, 256-262. doi:10.1016/j.apnr.2009.11.001. Marek, K.D., Adams, S.J., Stetzer, F., Popejoy, L., & Rantz, M. (2010).The effect of Community-based nurse care coordination on costs to Medicare and Medicaid programs. Research in Nursing & Health, 33, 2010. Popejoy, L.L., Moylan, K., Galambos, C. (2009). A review of discharge planning research of older adults 1990-2008.Western Journal of Nursing Research, 31(7), 923-947. Popejoy, L.L., Brandt, L., Beck, M., & Antal, L. (2009). ICU nurses perceptions of caring for the dying: Every voice matters. Journal of Hospice & Palliative Nursing, 11(3), 179-186. Popejoy, L.L. (2008). Adult protective services use for older adults at the time of hospital discharge. Journal of Nursing Scholarship,40 (4), 326-332. Grando, V.T., Mehr, D., Popejoy, L., Maas, M., Rantz, M., Wipke-Tevis, D.D. and Westhoff, R. (2002). Why older adults with light care needs enter and remain in nursing homes. Journal of Gerontological Nursing, 28 (7), 47-53. Popejoy, L.L., Rantz, M.J., Conn, V., Wipke-Tevis, D., Grando, V. and Porter, R. (2000). Improving quality in nursing facilities: The gerontological clinical nurse specialist as a research nurse and consultant. Journal of Gerontological Nursing, 26 (4), 8- 13. Rantz, M.J., Petroski, G.F., Madsen, R.W., Mehr, D.R., Popejoy, L., Hicks, L.L., Porter, R., Zwygart-Stauffacher, M. and Grando, V. (2000). Setting thresholds for quality indicators derived from MDS data for nursing home quality improvement reports: an update. Journal on Quality Improvement, 26 (2), 101-110. Rantz, M.J., Zwygart-Stauffacher, M., Popejoy, L., Mehr, D.R., Grando, V.T., and Wipke-Tevis, D. (1999). MDS quality indicators: A useful tool for improving clinical practice and outcomes of care. Annals of Long Term Care, 7 (9), 354-359. Rantz, M.J., Popejoy, L., Zwygart-Stauggacher, M., Wipke-Tevis, D. and Grando, V. (1999). MDS/RAI: Can using standardized assessment improve clinical practice and outcomes for care? Journal of Gerontological Nursing, 25 (6), 35-43. My professional nursing career has spanned about 30 years. In my early practice I worked primarily in intensive care nursing. The majority of that time I was in mid-level management. During my mid-career, I worked primarily in the nursing home setting as a study coordinator for several large nursing home research projects. From there, I reentered the management role as the Director of Nursing for Sinclair Home Care, which was the practice site for a study about aging in place. My work experience, which has included hospitals, nursing homes, and home health, has great depth and has inspired me to understand more about the problems and issues facing nurses as they work with frail older adults. Vogelsmeier, A., Popejoy, L., Flesner, M., & Rantz, M. (October, 2015). The APRN role in reducing nursing home hospitalizations. American Academy of Nursing, Washington, D.C. (National). Popejoy, L., Wakefield, B., Vogelsmeier, A., Galambos, C., Huneke, D., & Mehr, D., Posrer Presentation (December 14-15, 2015). “Evaluating Implementation of the Reengineered Discharge Project to SNFs Using the Consolidated Framework for Implementation Research,” 8th Annual Conference on the Science of Dissemination and Implentation: Optimizing Personal and Population Health, December 14-15, 2015, Washington, D.C. (International). Popejoy, L., Vogelsmeier, A., Lueckenotte, A., Rantz, M., & Flesner, M. (November 5-9, 2014). Podium Presentation. “Reducing Rehospitalizations for Nursing Home Residents: APRNs Championing the Change,” Gerontological Society of America’s 67th Annual Scientific Meeting, Washington, D.C. (International). Galambos, C., Rantz, M., Starr, J., Flesner, M., Popejoy, L., Vogelsmeier, A., Alexander, G., Petroski, G., Lueckenotte, A., & Crecelius, C. (November 5-9, 2014). Poster Presentation. Missouri Quality Initiative (MOQI) for Nursing Homes: Link to Palliative Care,” Gerontological Society of America’s 67th Annual Scientific Meeting, Washington, D.C. (International). Popejoy, L.L., Sherman, J., Parker, J., Nguyen, Raymond, & Hicklin, C. (September, 2014). Podium Presentation. Building an Electronic Care Coordination Documentation System: Using Information to Manage Complex Care in a Primary Care Medical Home. The Council for the Advancement of Nursing Science, 2014 State of the Science Congress on Nursing Research, Washington DC. Popejoy, L.L., Galambos, C., Khalilia, M., Popescu, M., Lyons, V., Hicks, L., & Stetzer. (March, 2014). Podium Presentation. Going Beyond Standardized Nursing Language to Describe Nurse Care Coordination Activities MNRS 2014, Annual Research Conference, St.Louis, MO. 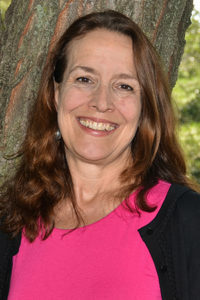 Popejoy, L.L., “Exploring congruence between frail elders, family members, and health care teams about hospital discharge destination decisions.” Accepted to National State of the Science Congress in Nursing Research, 2008. Popejoy, L.L., “Level of participation preferred by frail elders, families, and health care teams in hospital discharge destination decisions.” Accepted MNRS 32nd Annual Research Conference, 2008.